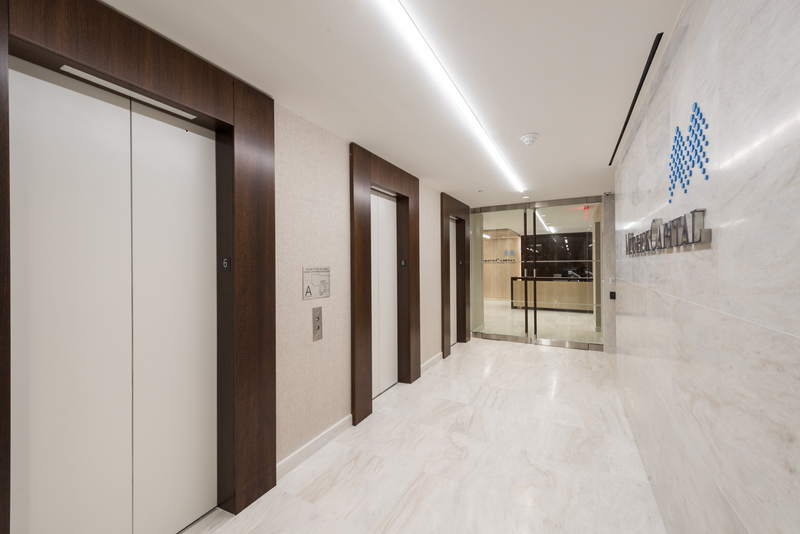 This uniquely designed space opens on a welcoming lobby and reception area that feature white stone floors, woodwork paneling, and decorative lights. 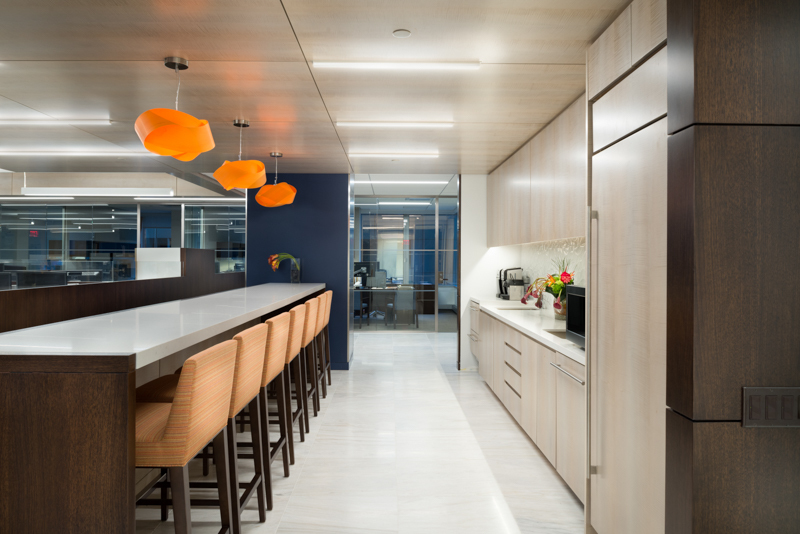 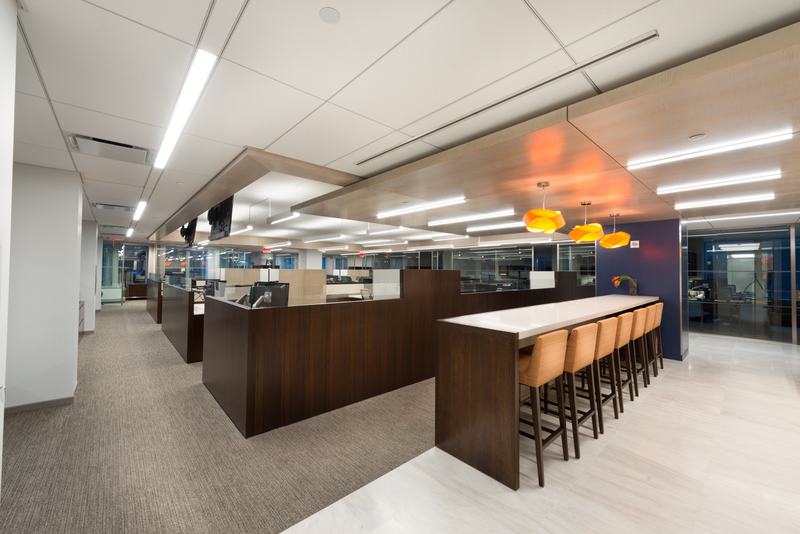 These same design elements are picked up in the open-style corporate café, creating a cohesive aesthetic. 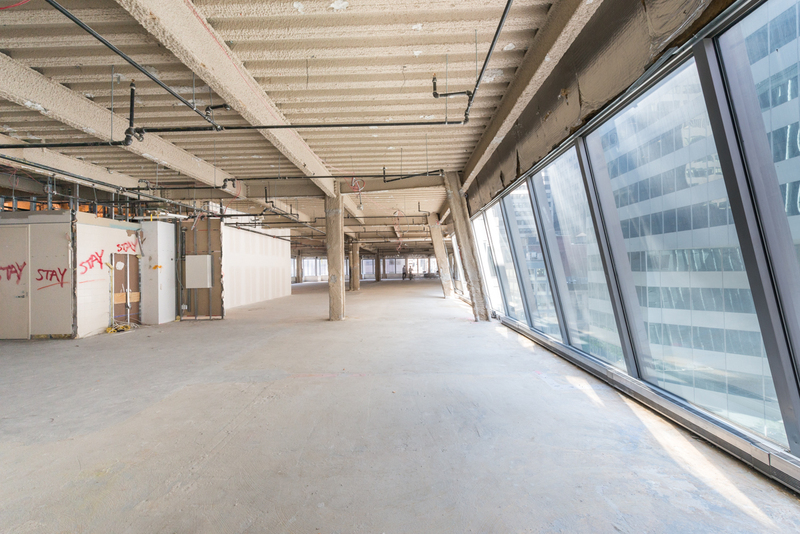 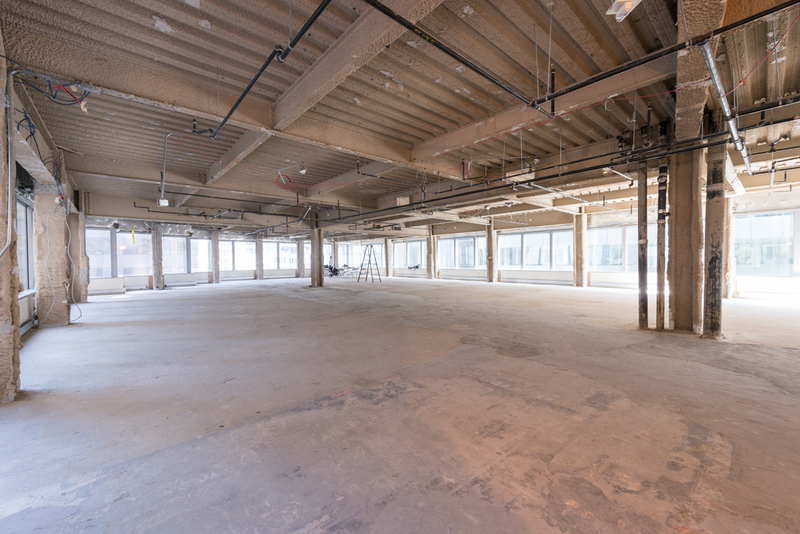 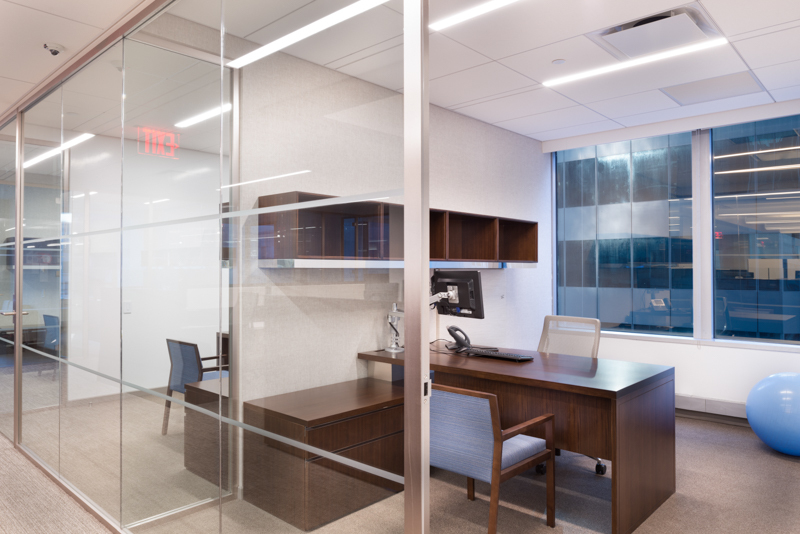 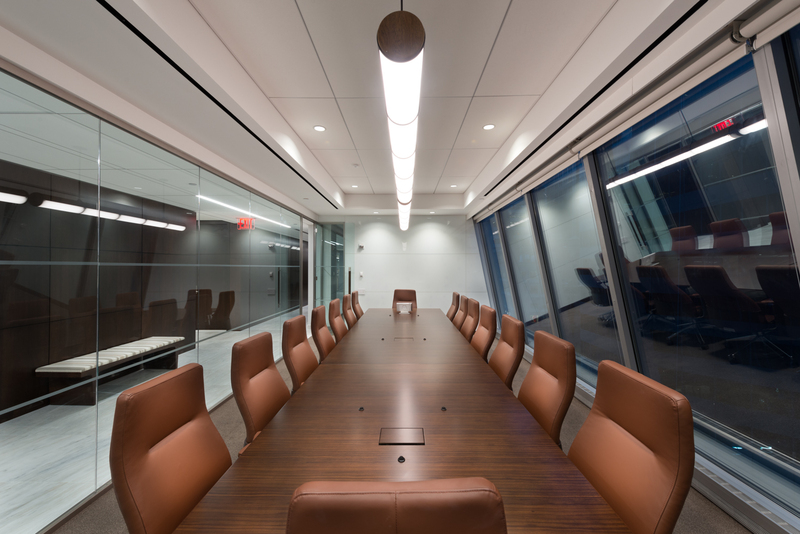 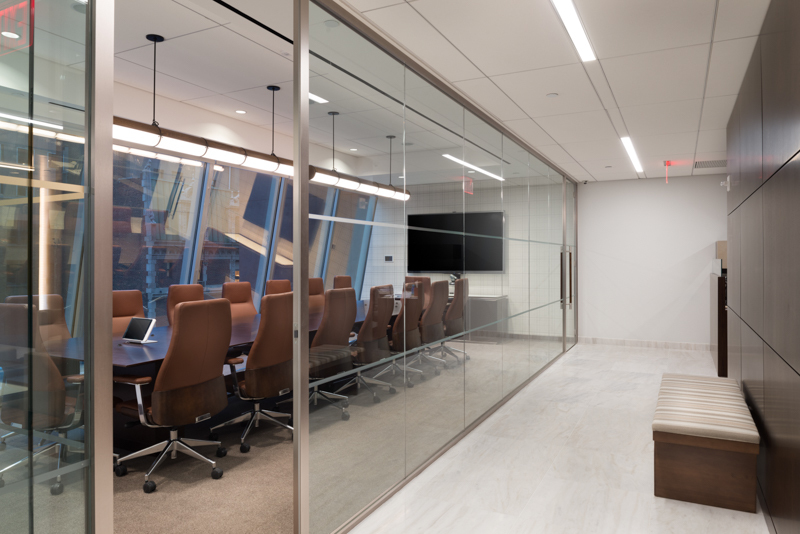 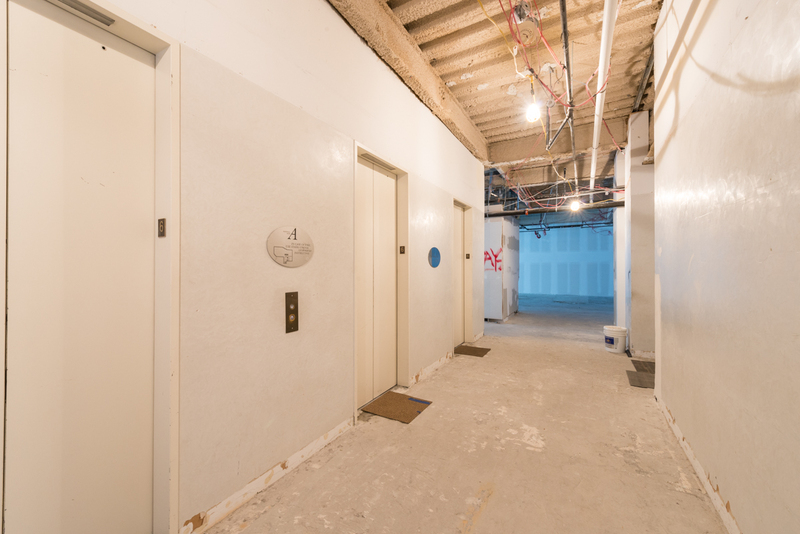 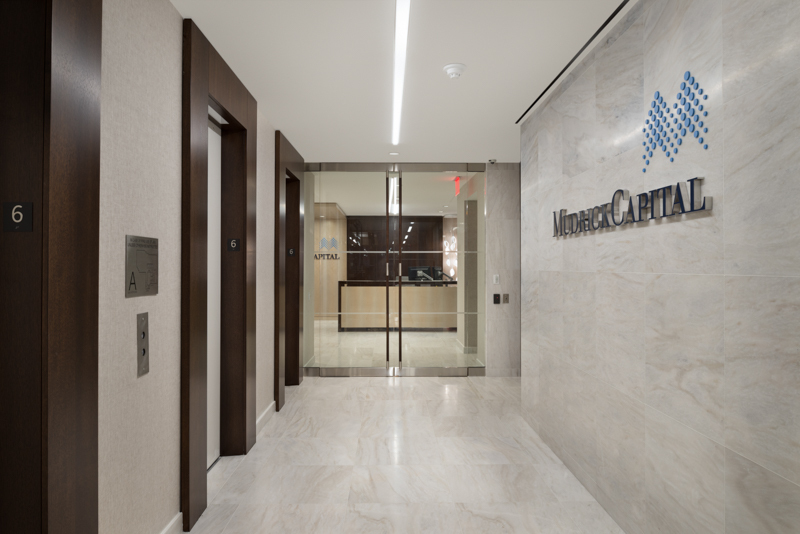 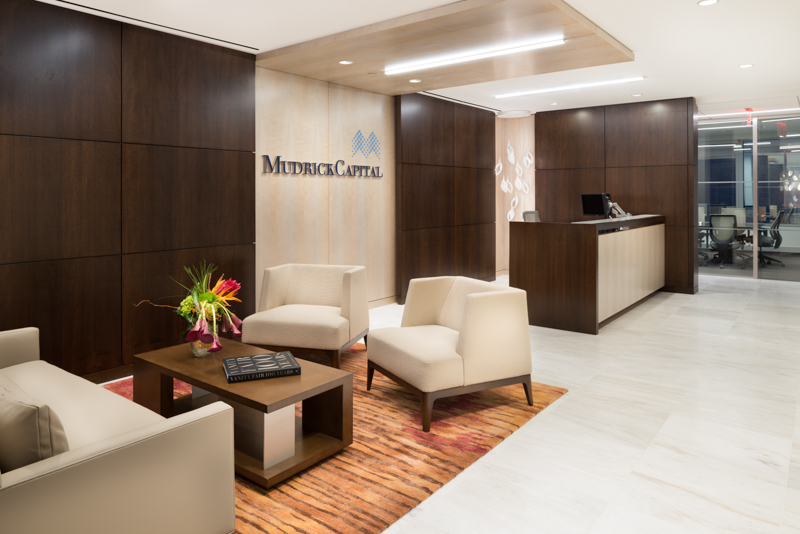 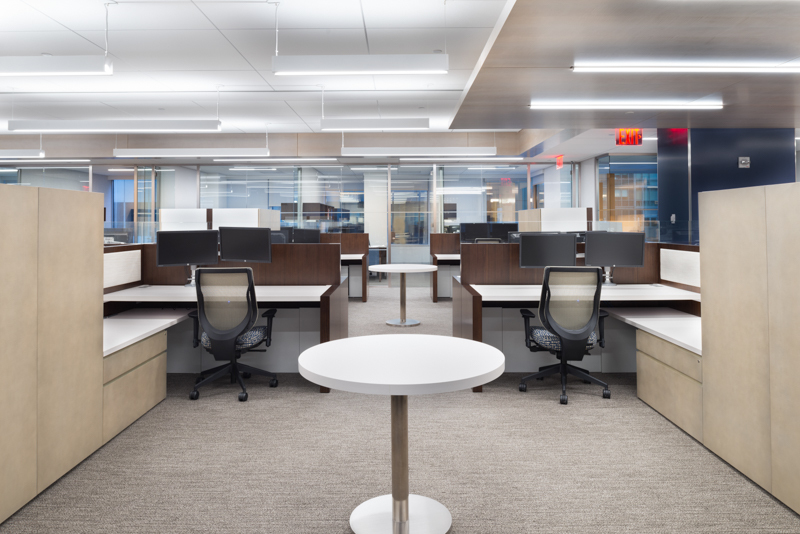 Other highlights include open workstations with coffered wood ceilings, custom glass office fronts on the perimeter offices, new bathrooms, and several executive conference rooms.